Starting from scratch Marabese will plan, design and fit the kitchen of your dreams. 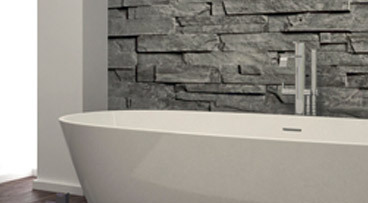 Our experienced kitchen designers will plan the entire project. 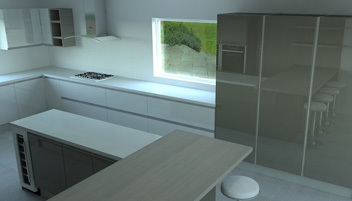 Your Kitchen area will be surveyed and a design will be drawn up on our CAD system. This service is provided free of charge. 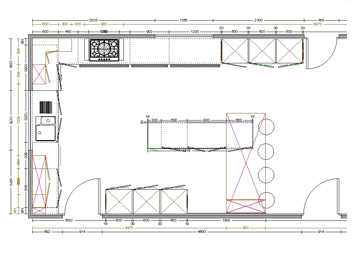 Using our in-house CAD design systems we will bring your chosen kitchen to life on screen so you can see your new kitchen in place before ordering. 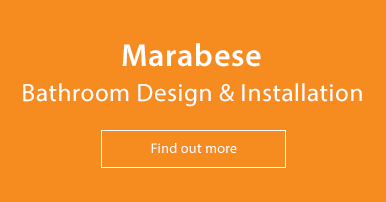 You can customise your kitchen to include integrated appliances, warming drawers, proving drawers, the famous Neff Hide and Slide Ovens, steam ovens, combination microwave ovens, wine racks, induction hobs, or how about an instant hot water tap so you'll never have to boil the kettle again? 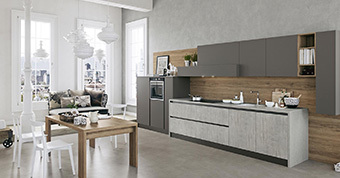 We are up to date with all the new kitchen mod cons from all the big name brands. 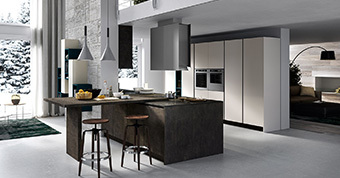 You can view and select your kitchen in any of our 3 showrooms in Bedford, Letchworth, Milton Keynes if you would like us to send you brochures in the post please use our Contact Form. 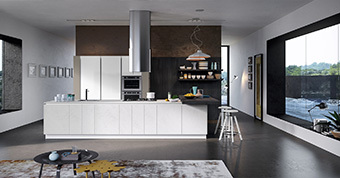 We have Kitchen Ranges available in Modern, Contemporary and Traditional designs, with our Arredo3, Omega, Sheraton and Crown Imperial cabinet ranges, offering in many cases discounts up to 60% off selected cabinets ranges. 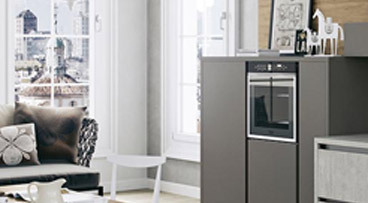 We offer appliances Brands such as Bosch, Neff, AEG, Electrolux, HotPoint, Indesit, Caple, Prima and more! 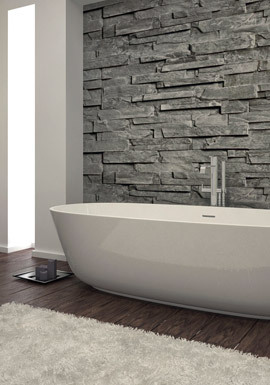 With a fantastic range of beautiful Solid Granite, Hannex, Hi Macs and a large range of Omega, and Duropal Laminate worktops to name but a few, we can offer to suit your individual requirements and budgets. 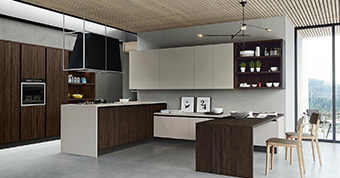 We can arrange (by appointment only) a visit to the Crown Showroom in Daventry, where you will be able to view every Crown Kitchen style & colour on display. 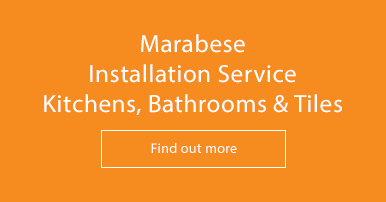 Marabese Ceramics have their own experienced team of professional fitters to install your new kitchen including carpenters, plumbers and electricians.